Carol Archer Boboris is a Special Counsel in the firm’s New York office. Carol leads the firm’s Due Diligence & Document Review Team, which is a dedicated group of attorneys trained to provide due diligence-related and document review support to the firm’s Corporate and Finance & Bankruptcy Practice Groups. The Team also serves as the firm's NDA Review Center and provides cost-effective services to the firm's Business Trial and Real Estate Practice Group. Carol’s practice focuses on general corporate and securities law, with particular emphasis on mergers and acquisitions (buy-side and sell-side) and public and private capital raising transactions. 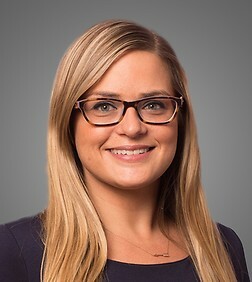 Carol also has experience representing lenders, agents, participants, private equity sponsors and corporate borrowers in debt financing transactions. Carol has also advised clients on all aspects of SEC reporting and listing exchange compliance matters, corporate governance and general corporate law matters. Prior to joining Sheppard Mullin, Carol was an associate at Kramer Levin Naftalis & Frankel LLP.